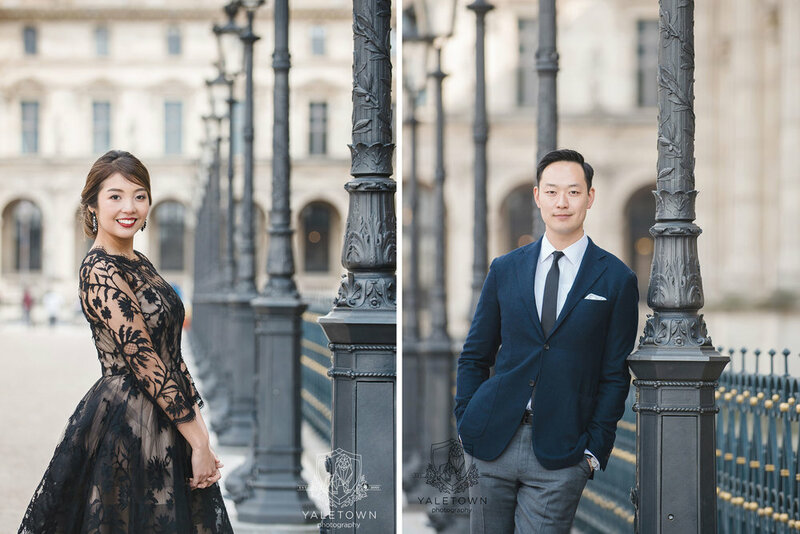 Excited to be sharing some images that were recently shot while in Paris for some portrait & engagement sessions this past March, including this gorgeous engagement session! Scheduling a photoshoot when your couple is living in two separate cities could pose a challenge, but It just so happened that we were all scheduling trips to Paris around the same time so the wheels were set in motion for us to do their engagement session in the City of Lights (insert super excited expression right here!). Prior to the engagement session, I received a private email from Dan who told me that he was going to stage a surprise proposal to Katie before the engagement session. Some of you may be thinking "wait a minute....aren't they already getting married this year? So why the proposal?" Which was exactly what I was thinking as well! Turns out they just went ahead with booking the wedding date and there was never a formal proposal made. 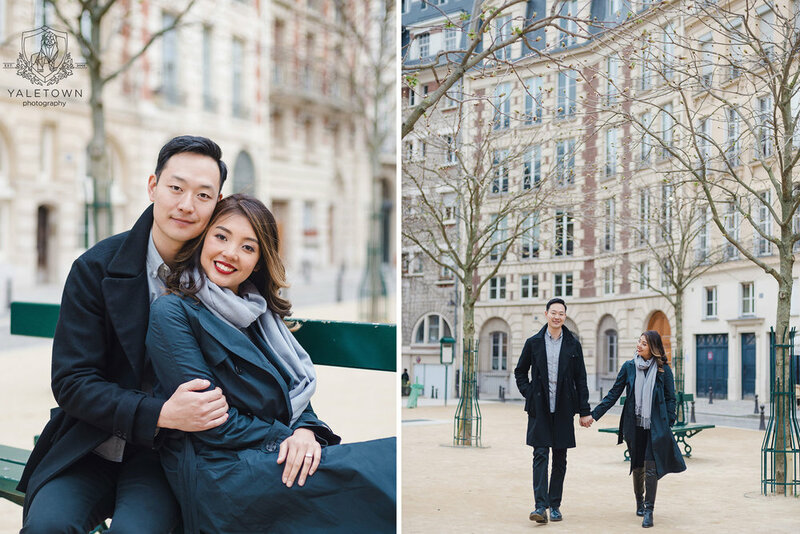 Nor was there a ring on her finger yet:) So Dan arranged to have the surprise proposal right before our engagement session in front of the Media Fountain at the Jardin du Luxembourg. Kudos to him for doing the leg work on scouting out the perfect location for the proposal! She was very surprised...and she said yes!